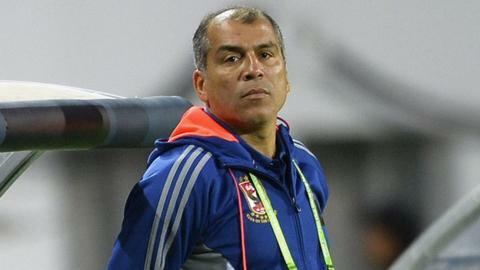 The board of directors at Egyptian giants Al Ahly has accepted the resignation of coach Mohamed Youssef on Thursday. He will be replaced by youth team boss Fathi Mabrouk as interim coach. There had been reports the Youssef would step down after the African champions were knocked out of the Champions League by their namesake Al Ahli Benghazi of Libya. Al Ahly dropped into the Confederation Cup and will play in the group stages. The eight-time winners of the African Champions League have been drawn in Group B for the second tier continental competition and will play Tunisia's Etoile du Sahel, Sewe San Pedro of Ivory Coast and Zambia's Nkana. Youssef had been in charge of Al Ahly since May last year following the resignation Hossam El Badry. The Red Devils are currently third in Group 1 of the Egyptian Premier League three points behind leaders Smouha, who have played a game more. The top two from the two groups in the league go forward to the play-offs to decide the league champions.